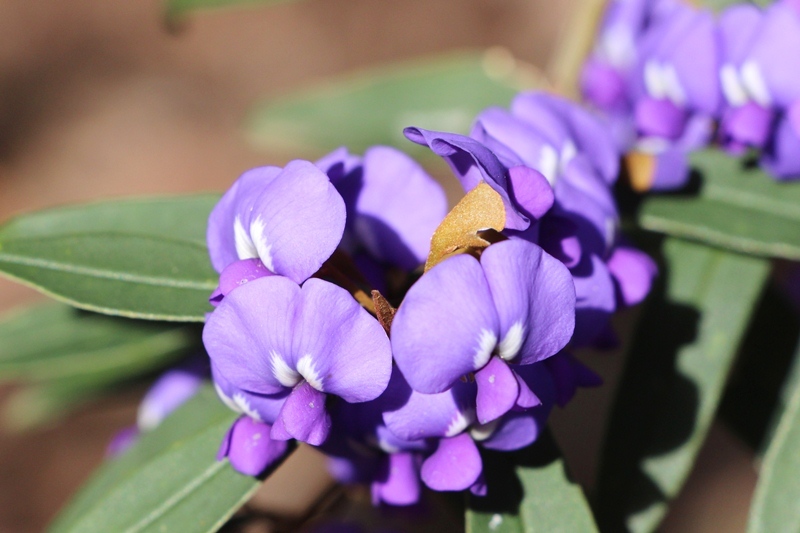 The Tree Hoveas (Hovea Elliptica) in the forest are covered with beautiful purple flowers. They look like Holly Leaved Hovea which flowered in May, but have a smooth rather than jagged leaf. Like the Kennedia, they are one of the Fabaceae or pea family with a similar shaped flower.